Wow! A schwimwagen 1:16, rc!!!!!!!! Location: Spanish living in Graz, Austria. Heart in UK. And a T72 too! Those are some great news. Thank you for the wallet emptying information Mr Lo_Thar. T72, new M16 (2.4GHz) and 1/6 FT-17 which shouldn't be much bigger than one of the modern 1/16 tanks? RobW wrote: T72, new M16 (2.4GHz) and 1/6 FT-17 which shouldn't be much bigger than one of the modern 1/16 tanks? Already got one - I picked one up cheap(ish) off Amazon when I found out the silly prices they were going for on Ebay! Ok, how much for the metal 1/6 King Tiger and who do I give my money to? Location: Communist State of Maryland, United States. RobW wrote: 1/6 FT-17 which shouldn't be much bigger than one of the modern 1/16 tanks? I wonder if the 2.4 MFU in the new M16 will be a straight swap for the old one. Depending on how good it is it could kill sales of the Elmod board. jarndice wrote: I wonder if the 2.4 MFU in the new M16 will be a straight swap for the old one. What do you mean? I have a pair of the old M16's. Are you talking about if the new M16 board sells as a spare? Why not? Everything else is up for sale. I have an Elmod board in my M16 and I like it very much but it was not cheap so if I were in the market for another M16 I would check out the price of a used one and the price of a new MFU. I've an M16 and an M3 build slated for one of these years soon so this is very interesting news. The Swimming Kubelwagen looks neat and as I have one of those Hooben Elefant kits, I'll be having a close look at the lower hull from Torro\Taigen as well to see how it might match up. Wonderful new things coming around for us all. 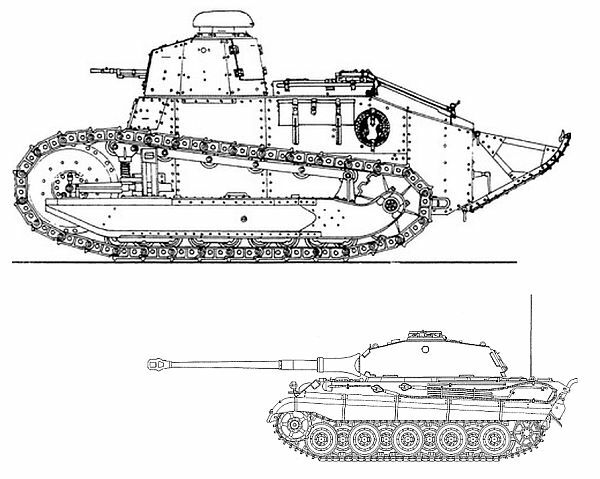 The elefant looks like a built up hooben, the wheel covers and tracks look exactly the same. I would be more interested in a 1/16 DUKW it would be good of itself but a bit of cut and shut would make a working Stalwart far more doable. OK, so twice the length of a KT hull but with no overhanging fragile bits. Not much bigger if you include the gun!